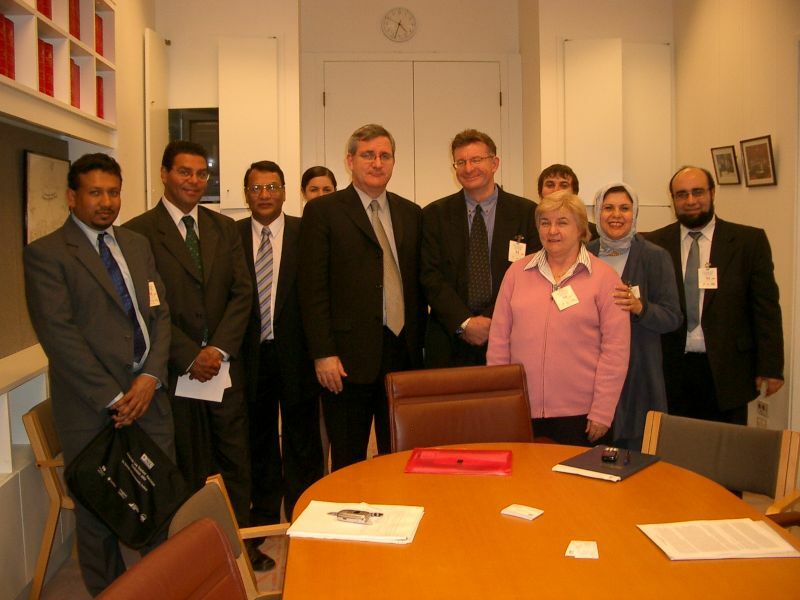 The effects of the anti-terrorism legislation on the Muslim community. The high levels of racism towards the Muslim Community as exhibited by the Isma3 report issued by the Human Rights and Equal Opportunity Commisssion. 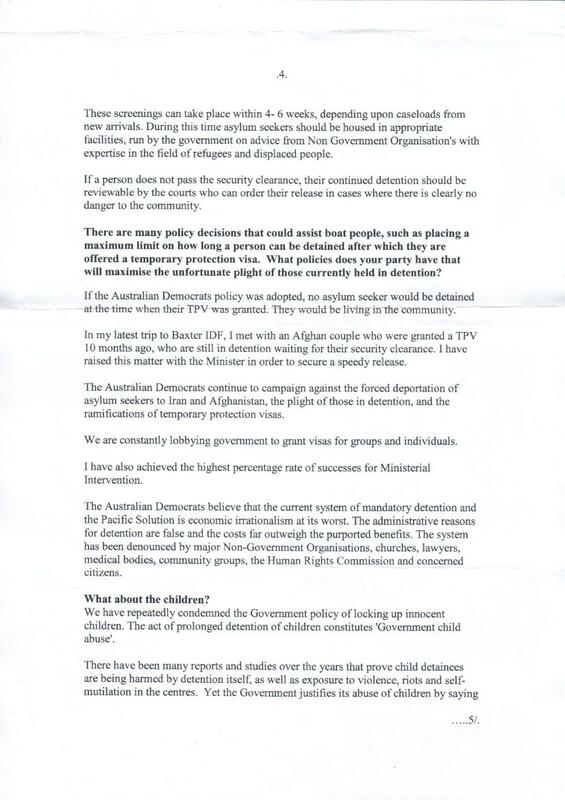 The status of refugees in detention. Support for Muslim Women's groups. Requesting that the parties take more balanced positions with respect to international situations. It was also an opportunity to let the parliamentarians know about the engagement between Muslims and the rest of the community. In particular, an example of the Islamic Auxiliary of the Royal Children's Hospital in Melbourne that raised over $200,000 for the Royal Children's Hospital. 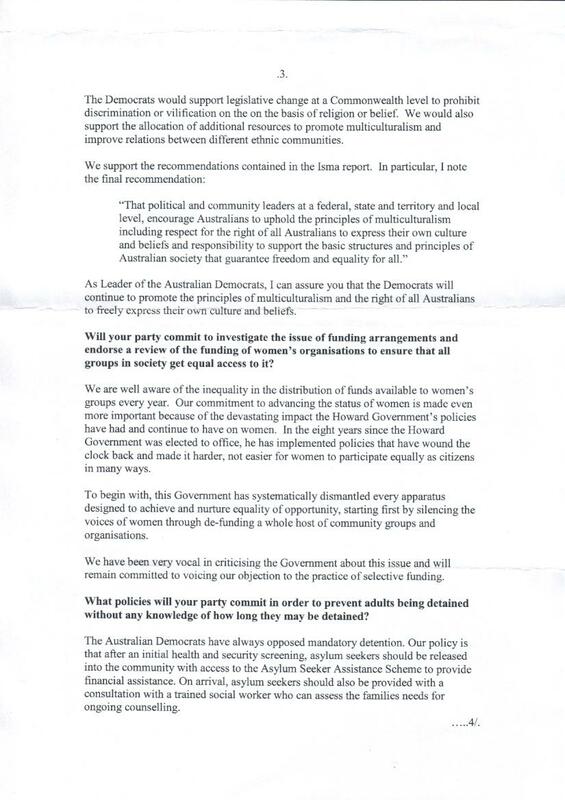 A letter outlining the key issues was left with the parliamentarians. 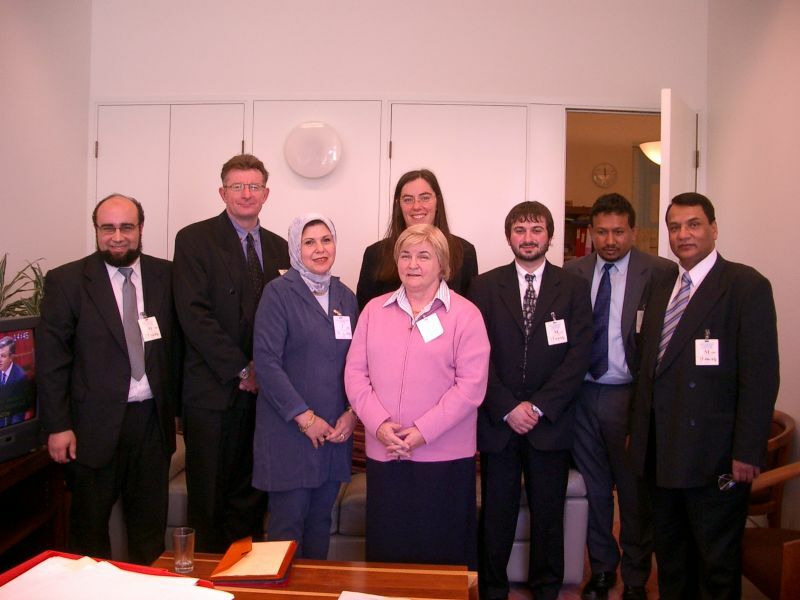 It is hoped that responses will be received outlining each of their parties' responses to the issues, and the responses will be posted on the AMCRAN Web site, so that Muslims and Australians can make well-informed decisions on these particular issues. 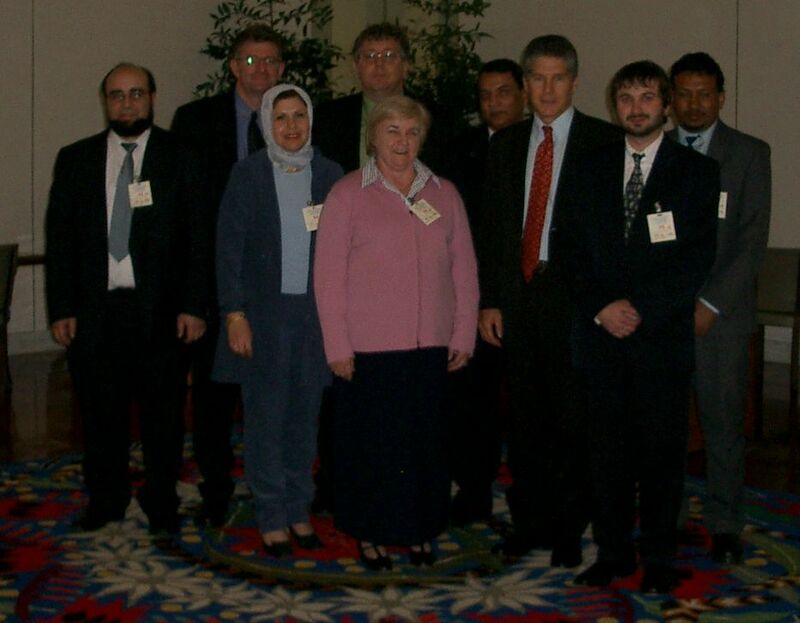 The immediate impact of the meeting was shown when that evening at 8:00pm Senator Kerry Nettle stood up in the Senate and outlined the concerns of the group that had come to meet her, with respect to the Anti-Terrorism Amendments. It was planned that two other people would attend but they couldn't make it due to unforeseen circumstances. 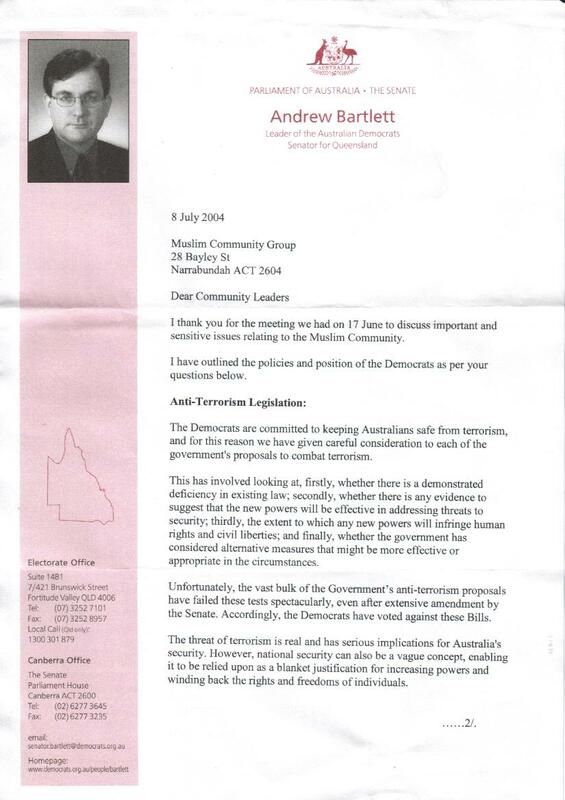 The Democrats, in another example of expressing support for the Muslim community, have replied to the letter presented to them as part of the Muslim Community Delegation that met with them on 18 June. 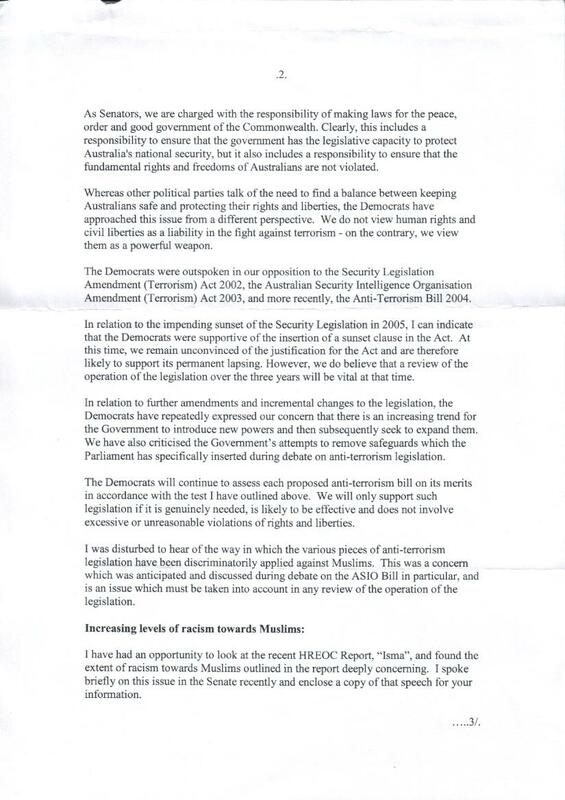 In an extensive 5-page letter from Sen Andrew Bartlett, he expresses the Democrats opposition to the erosion of civil rights that anti-terrorism legislation has caused, while at the same time acknowledging the necessity of guaranteeing Australians' security. 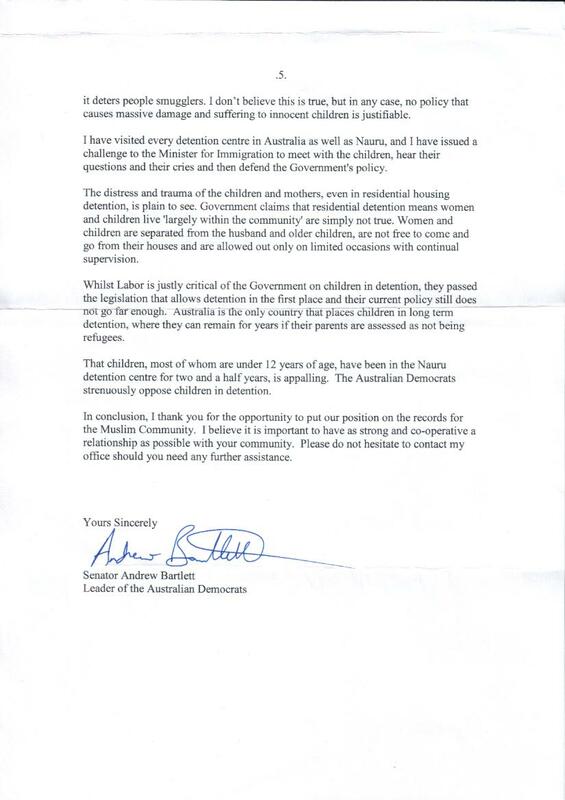 The letter covers a number of topics, including anti-terrorism legislation, refugees, anti-vilification legislation and more.